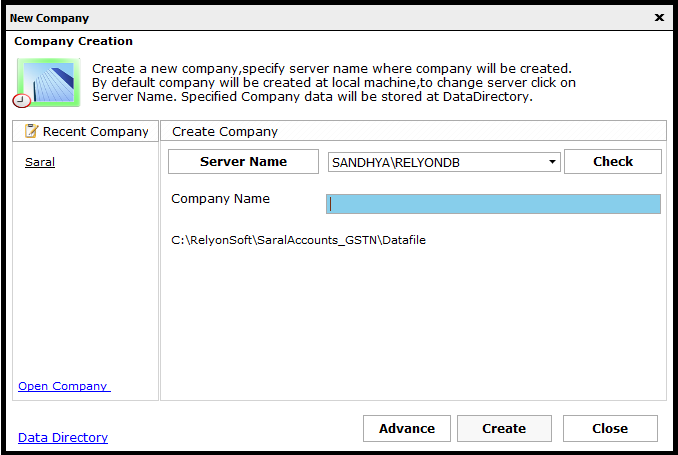 Hello and welcome to the tutorial post of File creation in Saral. Follow the steps or you can watch the video shown below. 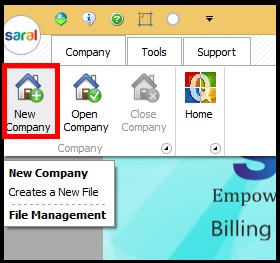 To create a new company in Saral, open the software and click on New Company under Company Menu. New Company creation window will be displayed. 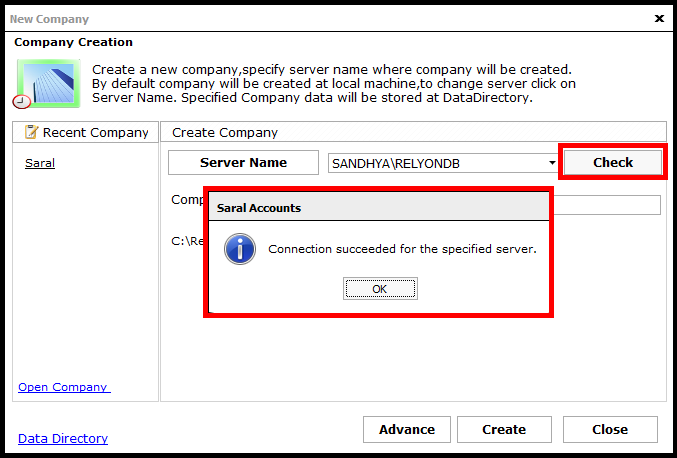 If multiple SQL-Servers are available in the system, then all the server instances will be listed under Server Name. 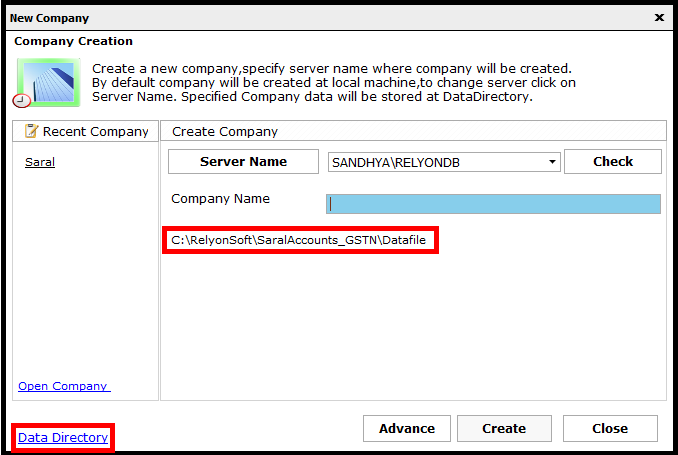 Select the required server under which the company has to be created. Click on Check button to know the status of server connection. Now enter the company name. The data directory in which the data will be stored is shown on screen. 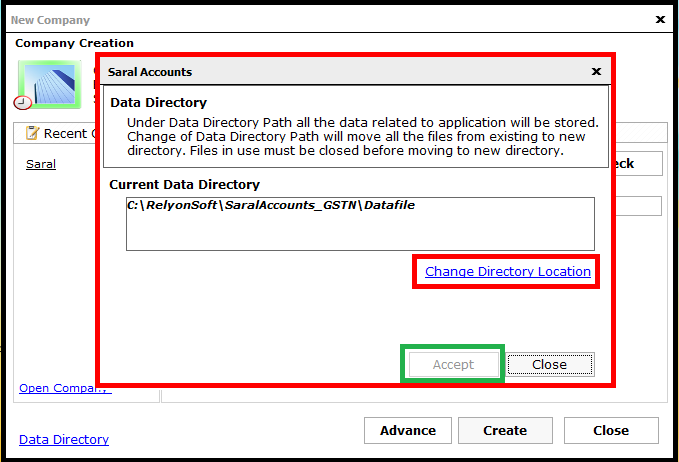 If you want to change the data directory, go to the left bottom of the screen and click on the Data Directory link. Here change the path to required location and Accept. Now all the companies created will be stored in the new path. After all the entry, click on Create to create the new company. Creation of Company Master in Saral.